Will post udpated info when received. 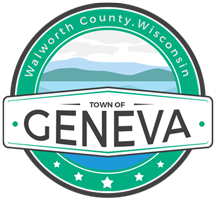 TOWN OF GENEVA will hold it's next FREE Electronic Recycling Collection at the Town Hall, N3496 Como Road, on Saturday, MAY 11, 2019 from 8:00 am until 2:00 pm for Town Residents ONLY. Be prepared to show proof of residency. All residential electronics banned from landfills by the State of Wisconsin can be dropped off at the Town Hall at the date and time specified above, free of charge. We will recycle "anything with a cord" for free thanks to JOHN'S DISPOSAL. NOTE: This will be our only collection day this year. Will post updated info when received.